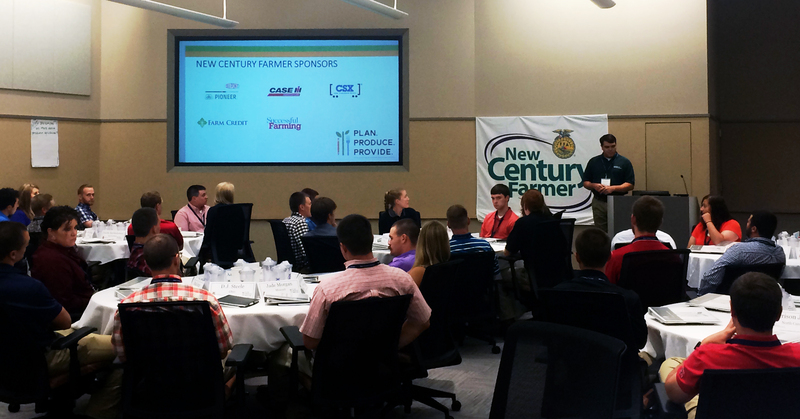 Thursday was an amazing day for participants of the 2015 New Century Farmer program. Are you great with flip charts and ah-ha moments? Read on! The National FFA Organization and Foundation has announced more than $2.7 million in scholarships awarded to 2,152 recipients – made possible thanks to the generosity of 127 sponsors. Farmers work hard. They work to produce food that will eventually be on our dinner plate, while dealing with unpredictable weather, long hours and countless risks. New farmers face more obstacles with starting their operations with acquiring land, equipment and capital as well as learning about regulations and insurance policies. Editor’s Note: The International Collegiate Agricultural Leadership (I-CAL) program travels overseas to learn about global agriculture and international marketing. The group of 12 Collegiate FFA members departed the U.S. on May 20 for a 10-day tour of Japan where they engaged U.S. Embassy officials and government leaders; toured feed mills, animal markets, small farms and livestock operations; and toured food processing plants, among other activities. ICAL 2014 is made possible through support from The Grains Foundation. Day 1 – We’re in Japan! The ICAL 2014 group prior to departure. Our flight went really well. It was about 12-hours and during the flight we flew over the Alaskan Islands, which was pretty cool! We were on one of United Airlines’ new planes called the Dreamliner and it was phenomenal. Even the food was tasty! We met Tommy Hamamoto, Director of the US Grains Council in Japan, at the airport and drove about 1-hr to Tokyo from Narita. It was rainy and cloudy, which seems to be a common trend here in Japan. LOUISVILLE – As a young professional and FFA member, a career within the agriculture industry may be in your not-so-distant future. It’s no secret, though, that landing an actual job isn’t always an easy process. But fear not; if a “connection to success” is what you’re looking for, FFA Link is here to help. 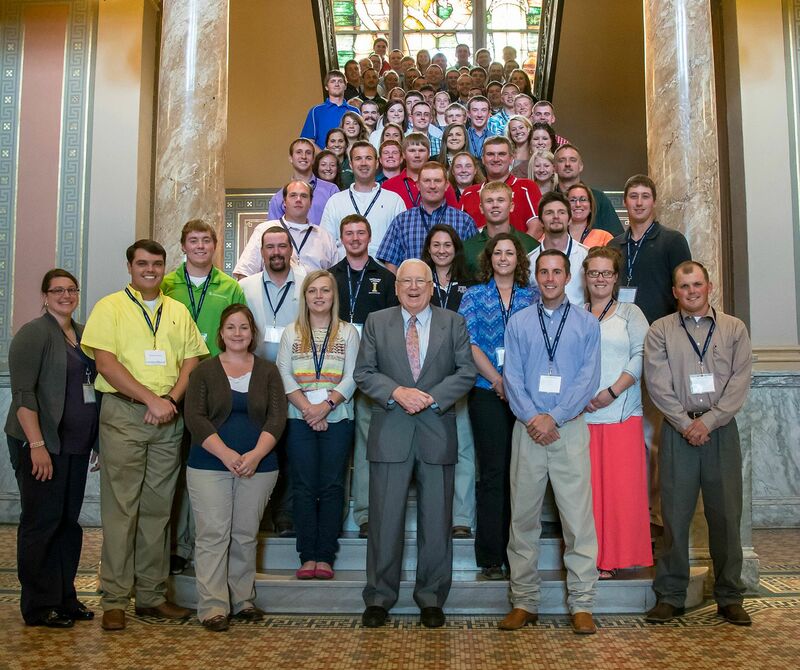 FFA Link is a newly established exclusive group of college students and young professionals ready to connect their passion for agriculture with real-world career skills. 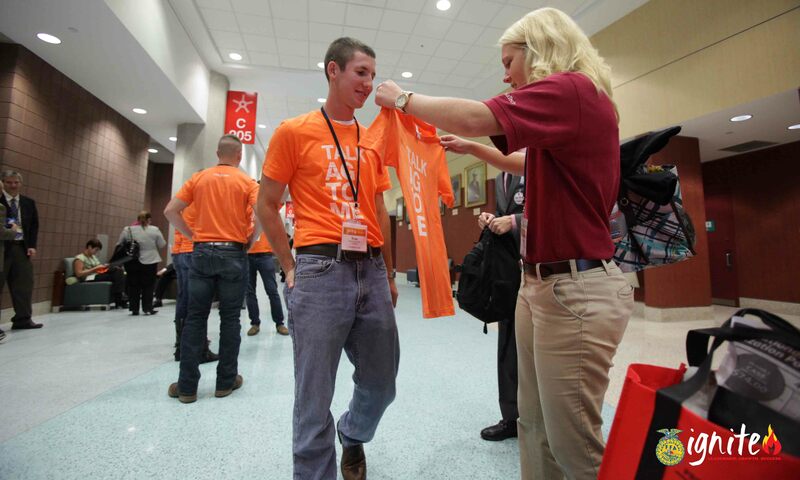 Each summer, the National FFA Organization and its supporters offer internship opportunities for college students looking to gain experience in various roles. It’s a great fit for students looking to grow professionally in numerous areas while boosting their future qualifications. This summer, we’ll offer a chance for several of those interns to journal their experiences here in Intern Insight. This is the second entry from Ellen Reeder, a corporate communications intern for John Deere. Last week, I spent several days out of the office traveling for my internship. My first out of office visit was to a John Deere dealership in Dixon, Ill. I grew up going to the John Deere dealership in my hometown, but I was always the errand girl. Being the errand girl means one thing: something needs fixed and you’d better not waste any time. That consequently meant that I was never able to actually ask any questions of our dealer. Each summer, the National FFA Organization offers internship opportunities for college students looking to gain experience in various roles. It’s a great fit for students looking to grow professionally in numerous areas while boosting their future qualifications. This summer, we’ll offer a chance for several of those interns to journal their experiences here in Intern Insight. New Century Farmer 2013 is in the books – a surreal statement that has yet to really sink in with us here at the National FFA Organization. It seemed like yesterday when I was starting here in Indianapolis and was being briefed on all that we had to do for New Century Farmer. It never occurred to me that at the end of every American Degree, proficiency, and agriscience fair project, there is a real, live person reviewing it. 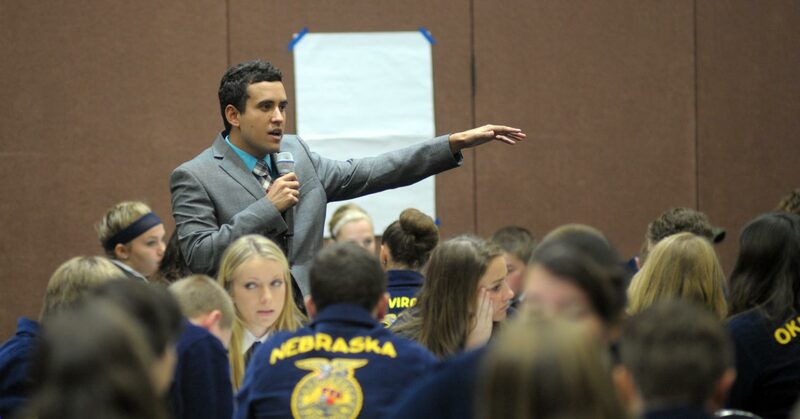 This summer has been my chance to hear the stories of the people who work on the other side of FFA. Though they may not wear the blue jacket, they certainly make an impact on our organization. Those who work behind the scenes at FFA may be largely faceless to the average member, but they make the events that happen possible. People with names like Rebecca, Marilyn, Jenna, Kiesto, and Blaze take the vision of FFA and turn it into reality.